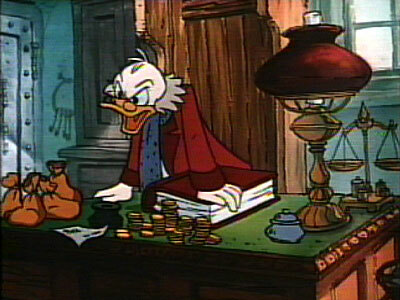 When I mention Scrooge, who do you picture? There are whole big sections of the book we know by heart in my family, because the boys and I spent a total of seven Decembers appearing in the version presented at Portland Stage Company, and ever since then, the Muppets version has been part of our Christmas. Both preserve much of the beauty of Dickens’ words, which evoke a cold, grey London and a cold, grey man. I felt a little like him in the mall on Friday. Surely there is more to Christmas than the shopping! Surely there is more to Christmas than paying bills without money. Surely there is more to celebrating the birth of God in human form than going deeper into debt. But for Scrooge, that’s all there is to it, and from his own broken-heartedness, he rejects the whole notion. 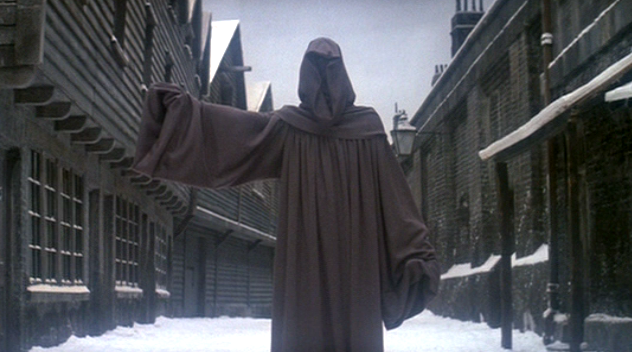 His sad childhood, his lost love, are all reviewed before us as he receives visits from the ghost of his old business partner, Jacob Marley, and then the Ghost of Christmas Past. 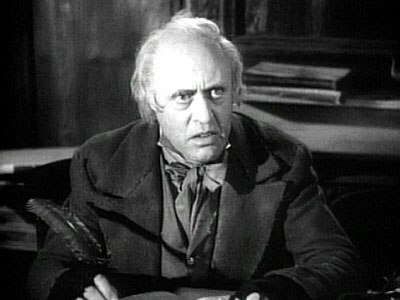 Later in the night, he meets the Ghost of Christmas Present, who shows him a variety of celebrations, near and far, and leaves him with a warning that the poverty and hunger in the world is not just a sad fact but a mark against all who could make even a small difference, Scrooge included. Scrooge has come face to face with Christmas Future, the Christmas of his own death, and he will hear what the world thought of him. He’ll discover that people knew him for a skinflint, a person who turned away beggars and carolers and requesters of charitable donations. I hate to admit how often I live in his world, saying no to things I know are worthy causes, in my case because there is not enough to go around, hoping I will make the right judgments, even hardening my heart to the person on the phone and working to disbelieve the story I’m hearing. I’m being practical and sensible and logical and discerning. We all do this. There’s no hiding from it. 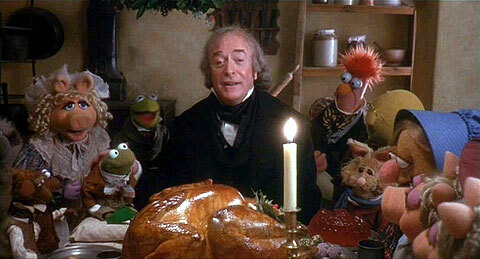 But the attitude we have to cultivate in order to say no is sometimes scarily close to the attitude of Scrooge. We need a better rule by which to live. Paul wrote some parting instructions in his first letter to the Thessalonians. So much of scripture feels context-reliant, but these three verses are not. Rejoice always. Pray without ceasing. Give thanks in all circumstances. These are always good things to do. Note I do not say they are easy. But they are good. Maybe it helps to know that the Thessalonians were odd ducks in their community simply for being Christians. Maybe it helps to know they were worried about whether their friends who died before Jesus came back would get to go to heaven, too. But maybe it doesn’t matter so much. Rejoice always. Pray without ceasing. Give thanks in all circumstances. These actions, and they are actions, cultivate a mindset and a heartset that bring about good things. And sometimes those good things are as literal as food for the hungry in stomach, and sometimes those good things are as figurative as food for the hungry in spirit. During Advent, we’ve been reading pieces of Luke, Chapter 1, and today we’ve heard a song of praise spoken by Mary, known as the Magnificat. That’s from the Latin version of the words we heard, when she says her “soul magnifies the Lord.” Mary is joyful, and her soul gives glory to God. She tells us herself that she is lowly. All girls were. Yet God called a young woman not only to give birth to a baby, but to prophesy about the child who would be born and the world he came to bring to reality. In the coming world, the kingdom of her Son, the rich and the proud and the successful and the Scrooges will be brought down. Her child is not coming to lord it over us but to be our Lord and Savior, to save us from the heartbreak of isolation and the poverty of selfishness and the alienation of sin. He has shown strength with his arm; he has scattered the proud in the thoughts of their hearts. He has brought down the powerful from their thrones, and lifted up the lowly; he has filled the hungry with good things, and sent the rich away empty. (Luke 1:51-53, NRSV). Some people believe the moment of reckoning comes after we die, but I think it comes over and over again, day after day, when we find ourselves with a choice about how to treat others, on the highway or in the parking lot or in the open spaces of the largely godforsaken mall. For Scrooge, his vision of reckoning ends after he sees his own grave. Then he cries out that he *will* keep Christmas, if he can have another chance. As he makes this promise, he awakes to discover that it is Christmas morning. Scrooge has been scattered and brought down and sent away empty, and now there is room in his heart to rejoice. And this is the joy he feels *before* he starts doing things for other people. He will share not only his financial resources, but his appreciation for the beauty of simply being alive. This is good to remember when we are tempted to behave like the “before” version of Scrooge. We shut down, afraid of being vulnerable. We turn away, unwilling to connect with others. We hang up the phone, unable to take a risk. We close out the possibility of joy. And that denial of joy is not just a personal problem. It is a collective problem, because our mindset and our heartset will always affect others. God’s way, as declared with joy by Mary, is to turn things upside down. God’s way is to lift up those who are low—but we have to let it happen. Scrooge does it all in one night, but we have two more weeks to make our minds and hearts ready for Christmas. Rejoice always. Pray without ceasing. Give thanks in all circumstances. If we do these things, we will not have to fear the reckoning of the Ghost of Christmas Future. With Mary we will joyfully give glory to our God. Or as Scrooge put it, “Whoop! Hallo!” Amen. 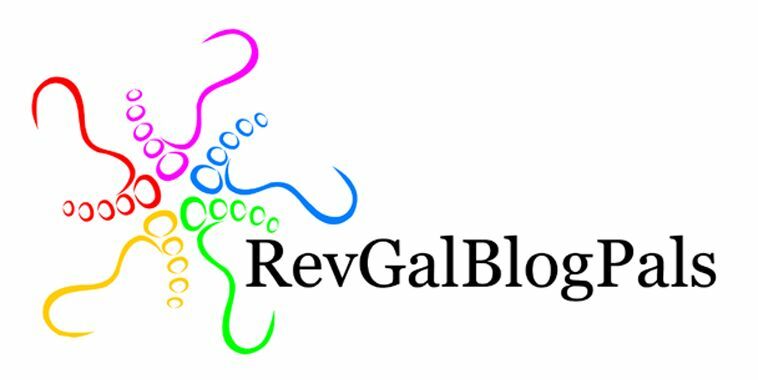 Grace and peace to you as you proclaim tomorrow!